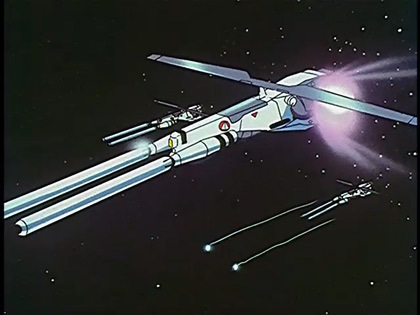 One of the problems I faced when making the top wing of the 1/60 Lancer II SF-3A scratch build project was the lack of scratch building materials in my region. I had wanted to use styrene sheets but because the local hardware stores didn't carry it (there is no hobby shop in my place) I ended up using Polymer Clay. The other material I tried was plaster of paris, I found out the hard way that its hard to carve plaster of paris once it becomes very thin. To make the wing I first got some SuperSculpey Firm Polymer clay then rolled it into a flat sheet using an old beer bottle. 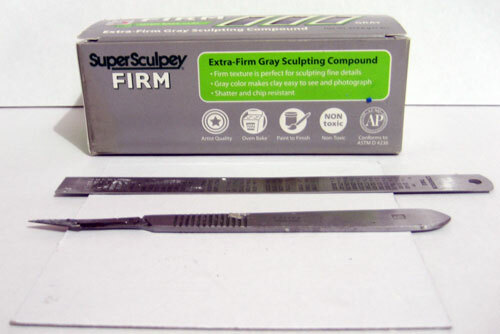 I preferred SuperSculpey firm, used for sculpting, over the other types of polymer clay because it didn't curl up and warp as much when baked as a flat sheet. I got 2 cardboard squares, one to use as the workpiece's base and the other to serve as its top cover (I'll explain this later). A small metal ruler had multi use. One use was for measurement, the other to act as a guide when cutting and last was as a tool for alignment of the clay when it got bent out of shape during cutting. After it was flattened I placed it on the cardboard that designated was as the base. I used the metal ruler to push it to more even thickness while it was on the base. Instead of a cutter, I used a scalpel (available in your local medical supplies shop) because of its sharpness. The sharp blade of the scalpel allowed for a clean cut and less deformity on the soft clay due to the force applied on it while cutting. If it got out of shape, the metal ruler would once again come in to do its job of aligning it. Once the excess edges were removed and only the final form was remaining on the base I put it inside the oven for baking. The top cover was placed on the work piece and a small weight was added (I used small blocks of plaster of paris leftover from the project workpieces.) Although SuperSculpey firm has less chance of warping when baked as a thin sheet I decided to add some insurance by means of the cardboard top cover. Baking was done via an electric oven at 130C for 15 minutes. Polymer Clay is toxic when it bakes so its best to be out of the room when this is done. Make sure also that the oven won't be used for cooking afterwards. One other thing when working with polymer clay, if you make an item out of the clay that is more than 1 inch in thickness, there is a tendency for the thing to develop small cracks due to air bubbles. The usual repair methods to fix cracks in polymer clay is to reapply some clay on the affected crack and re-bake it or blast it with a heat gun. Famous clay artist, Donna Kato, mentioned in her book :The Art of Polymer Clay Millefiori Techniques: Projects and Inspiration for Creative Canework, that one of the easiest ways to fix cracks is to inspect the item for cracks right after baking. Then use your finger to close the crack then submerge the warm piece in cold water to permanently heal it. 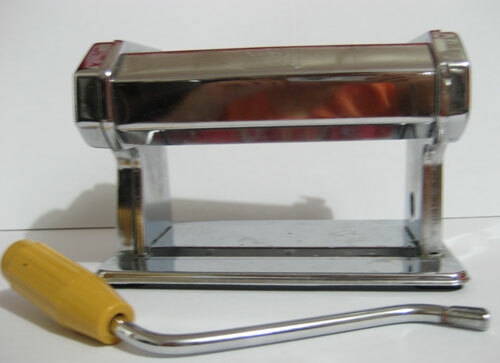 If you want more uniformity in making a flat sheet with polymer clay, I'd suggest using a pasta machine that can roll out more consistent width sheets.